WOW! Women On Writing Blog: Chynna Laird, author of Not Just Spirited, launches her blog tour! Chynna Laird, author of Not Just Spirited, launches her blog tour! Chynna T. Laird is a mother of three beautiful girls, Jaimie (six-and-a-half), Jordhan (five) and baby Sophie (sixteen months), and a gorgeous baby boy Xander (almost three). In addition to living her dream building up her at-home freelance business (Lily Wolf Words), she's also studying to obtain her B.A. in Psychology, specializing in Early Childhood Development. Her hobbies include writing, reading, playing piano and crafting with her girls. A lot of the material she writes about includes childhood experiences, her adventures as a Mom, and her personal observations. She's won writing contests in Byline magazine and her work has been published in various Christian, parenting, writing and inspirational magazines in Canada, the United States, Britain and Australia. As well, she's had personal essays featured in Chicken Soup for the Soul: Children with Special Needs and Cup of Comfort for Special Needs. Last year, she released a children's picture book called, I'm Not Weird, I Have SPD, where she describes--through the voice and perspective of four-year old Alexandra--what it's like to live with Sensory Integration Dysfunction (Sensory Processing Disorder). Chynna is a member of the Professional Writers Association of Canada (PWAC), The International Women's Writing Guild, The Writers-Editors Network, Christian Writers' Guild, The Canadian Author's Association as well as The Writers Guild of Alberta. She has press cards through the PWAC and the Writers-Editors Network. Chynna is on tour for her second book, Not Just Spirited: A Mom's Sensational Journey With Sensory Processing Disorder (SPD), and her third book, The Sensory Diet: Setting Your SPD Child up for Success, will be released this year. What would you do if your child suffered with something so severe it affected every aspect of her life? And what if your cries for help fell on deaf ears at every turn? You'd follow your gut and fight until someone listened. And that's what Chynna Laird did. When she was just three months old, Jaimie's reactions to people and situations seemed odd. She refused any form of touch, she gagged at smells, she was clutzy and threw herself around and spent most of her day screaming with her hands over her ears and eyes. By the time she turned two, Jaimie was so fearful of her world they spent most days inside. What was wrong with Chynna's miracle girl? Why wouldn't anyone help her figure it out? Jaimie wasn't "just spirited" as her physician suggested, nor did she lack discipline at home. When Jaimie was diagnosed with Sensory Processing Disorder (SPD) at two-and-a-half, Chynna thought she had "the answer," but that was just the start of a three-year quest for the right treatments to bring the Jaimie she loved so much out for others to see. With the right diagnosis and treatment suited to Jaimie, this family finally felt hope. Not Just Spirited is one mother's journey to finding peace for her daughter, Jaimie. As Chynna says often, "Knowledge breeds understanding. And that's so powerful." If you received our Events Newsletter, remember, we are holding a contest to win a copy of Chynna Laird's book, Not Just Spirited, to those that comment. So, grab a cup of coffee, pull up a chair, and enjoy the chat, and share your thoughts, and comments, at the end. We will randomly choose a winner from those who comment. Enjoy! WOW: Welcome, Chynna! Presently, you have three books to your name--each in a different category--but all concentrating on the same subject, Sensory Processing Disorder (SPD). In writing these books, did you find that you preferred one type of writing over another? Chynna: What a great question! I have to say that I loved writing the children's book the best. That's not because it was the easiest--I still had to concentrate on the target audience, make sure I was saying things "correctly" for that audience, etc. But I think it was because the book was for my little girl. It was my way of helping her to understand what she was going through and how to give her the words to explain her SPD to others. I guess because, at the time I wrote it, I wasn't able to hold her or comfort her or give her any of the usual mommy forms of affection due to her sense of touch being so sensitive; it was my way to do those things. I'll always treasure that book. WOW: That's beautiful. So what lessons did you learn from your children's book that helped you with your memoir, Not Just Spirited? Chynna: The number one lesson I learned from the children's book is how important marketing is. I wrote the book in 2007 but didn't really get out there and hard-core market it until earlier this year. Not good, especially when you self-publish. I soon realized that no one would even know my book was out there unless I steered people to it. So now I'm learning about different marketing tools, the most effective social connection tools I can access with the time I have to use them, etc. Some writers make the mistake of thinking their publisher or someone else will be doing all the promoting for them and it's not the case. The writer/author is expected to do a lot of her own promotion and marketing. It's a lot of work but so worth it! WOW: Thank you for mentioning that--it's a great reminder for authors. Tell us the origins of your memoir. Chynna: When I first started writing the memoir, I was really just working through the feelings of hurt, confusion and anger I had. Why couldn't I help my child? What was wrong with her? What was wrong with me? At first, it was basically a compilation of journal entries--you know, trying to work through all the emotions. Then after I wrote my children's book, I'm Not Weird, I Have SPD, I really wanted to do more to help other families out there if I could. I didn't want to write a tell-all or make parents think or do a specific thing. I just wanted to say, "This was our experience. This is what happened in our house and how we dealt with it. These are the things we went up against. It may not have been the 'right thing,' or the 'wrong thing,' but it was what we did. Take what you need, and keep pushing forward with your own journey." 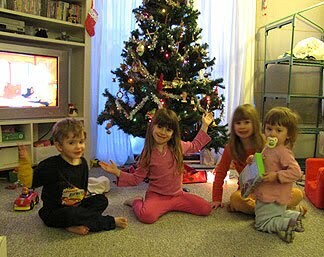 The most important thing I wanted to do was to give parents something I didn't have in the beginning of our SPD journey: The comfort that other families are going through the same things we are and that they aren't alone. One thing I was told in the beginning of my struggle was that, "Parents often feel like they're on a remote island where no one else is going through what they are or understand what it's like to raise a child with sensory issues. Once we reach out...once we share our stories...bridges are built among those islands and we aren't alone anymore." When I heard those words, I realized how important it was for parents to tell their stories. WOW: I totally agree. I'm sure your book will help a lot of parents who are going through the same thing, and I applaud you for that! When you sat down to write your memoir, how did the process work? Did you rely on memories and journals? Did you discuss the experience with your family? Chynna: For the longest time, it was only me and Steve [Chynna's husband] here going through everything with Jaimie. It's truly a difficult thing to make people understand your situation when they aren't there to go through it with you. It was so frustrating and lonely, and writing about it always made me feel better. I wrote journal entries mostly, at first. Then, when I went back to edit it, I went through everything again. It was painful, joyous, angering and enlightening all at the same time. I re-lived every experience...every emotion...and it could be so hard. I often had to leave the computer, just turn it off. It was difficult enough to go through all of that initially...not just for me but especially for Jaimie. I rewrote parts of the manuscript many times. Not because I'd written it "wrong," but more because this isn't just my story. It's Jaimie's and Steve's and my other children's story. So I had to be sure it was told 'just right,' you know? I didn't want to complain or give a 'poor me' type of perspective. If I was going to share our story, it had to be giving the message that things are tough and you'll face many obstacles but you have to be strong and you'll get where you need to be. I constantly talked with Steve about the book. A huge part of our story was Jaimie's rejection of his love because she wasn't--and still isn't--able to deal with that. So I had to be sure that I was being true to his feelings and views while remembering this book would be out there for a long time (Hopefully!) and Jaimie's early life would be out there. I wanted it to be something she'd be proud of later on. WOW: It must be difficult writing a memoir that includes young children. Do you ever worry they'll grow up and say, "Mom, why did you have to write about us?" Chynna: What another great question. Well, as I touched on earlier I did worry about that. How could I not? They are all so young right now and don't fully understand what Mommy does with her writing. And I remember Steve saying, "Nothing in this is going to come back to haunt Jaimie when she's a teenager or anything, will it?" I almost didn't publish it for those reasons. But you know what? Jaimie is helping so many people with her story...with our story. I think she'd be proud of how I wrote it and how my publisher edited it (Thank you so much, Victor and Ernest!). She already is! She truly wants people to understand her. I spoke with her constantly about what I was doing because I remember awhile ago, when I'd written my story for the Chicken Soup for the Soul: Children with Special Needs book, she was devastated that I'd talked about her and that everyone would read it. She was embarrassed and believed people wouldn't like her--that was a couple of years ago (and one of the reasons I'd written my children's book). Now, she thinks it's pretty cool to think that she may be able to help others with what she's gone through, and still goes through. I never made her look pathetic or went into huge, intimate details--that's very important when writing about children in such books. I tried representing her as a little girl going through something tough that she had the strength to learn how to cope with. And that's what I hope she'll see. WOW: Have you set any writing resolutions for the New Year? Chynna: I actually blogged about this recently! Okay, some of my goals for 2010 are to: (1) Prioritize my ideas (I have many ideas and not much time to accomplish them so I need to zero in on what I really want to do! ); (2) Finish my reference book; (3) Finish my memoir about my mom; and (4) Build up my courage to edit the two fiction works I have shelved. My biggest goals are to finally finish my B.A. in psychology (in April! Yay!) and spend more time with my kids. They need me more than anything or anyone and they're only little for so long. Writing can be very consuming. If you're a writer and a Mama, you can do both you just need to find that balance. WOW: Wow! I thought I had a lot to accomplish. ;) Thank you, Chynna, for a wonderful and inspirational interview. I wish you the best of luck with your 2010 goals, and with your blog tour! Chynna will be chatting with WOW! Women On Writing at The Muffin. Stop by and share your comments! One lucky commenter will win copy of Chynna's memoir! 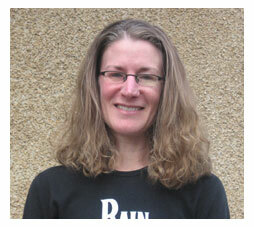 Chynna Laird is the guest writer at Write for a Reader's special feature "Because of a Book." Don't miss her take on books and reading and share how they have affected your life. Teachers, parents, and caregivers will want to read this interview about Chynna Laird's experiences striving for a diagnosis and the best life for her daughter with SPD. You can also win her memoir, Not Just Spirited! Chynna Laird shares her secrets to survival in "How to Successfully Combine All Your Roles: Mom, Wife, Employee, Woman." Don't forget to enter to win a copy of her memoir Not Just Spirited! Chynna Laird, author of Not Just Spirited, shares how rewarding memoir writing was for her. Don't miss it! Stop by Writer Inspired to check out what Chynna has to say in her interview, and enter to win a copy of her memoir Not Just Spirited! Stop by the Mom-Blog for "Five Things No One Ever Told You About Sensory Processing Disorder." 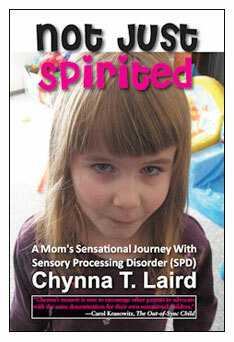 You'll also have a chance to win a copy of Chynna Laird's memoir, Not Just Spirited, about raising a daughter with SPD. Author and Mom Chynna Laird writes about Advocating for Special Needs Children at Your School. Not to miss! Stop by for a review of Chynna Laird's memoir, Not Just Spirited, and a chance to win a copy! Don't miss a peek into the world of Sensory Processing Disorder with a guest post from Chynna Laird, author of a children's book, memoir, and cookbook on SPD. We have more dates to come, so be sure to check out our Events Calendar HERE. Be sure to comment on this post to enter in a drawing for a copy of Chynna Laird's memoir Not Just Spirited: A Mom's Sensational Journey With Sensory Processing Disorder (SPD). And check back in a couple of days in the comments section to see if you won! Hi, Chynna! This is a great interview. As you know, I've read your children's book and watched the film. I also am a subscriber to your newsletter. For the readers, my grandson has SID, so Chynna has been very helpful in providing information we are able to use. I'd love to win a copy of the memoir! I appreciated the insight you shared about the how-can-I-make-sure-this-doesn't-come-back-to-bite-me aspect of putting your family's experience out there where it would be irretrievable. Memoir writers are brave folks. I have a question: I'm sure there was so much negativity from fellow students, neighborhood kids, adults who witnessed Jaimie's behavior in public that you're family experienced--and which no doubt broke your heart many times over. How did/do you protect Jaimie from the inevitable hurtful comments, avoidance behaviors, and judgmental sneers from those who had/have no clue? How do you keep her heart from breaking? I'd like to tackle DB's question first. You had me tearing up! This is a very, very important issue because, as you said, people do sometimes say things or make comments about what THINK they're seeing without thinking first. Honestly, I used to get so angry when people made comments or suggested that Jaimie just needed, "A stronger hand of discipline" and I'd speak out. She was just a little girl! I'd get so angry and defensive. But I soon realized that this didn't really help anything because I wasn't dealing with the main issue: PEOPLE DON'T UNDERSTAND! And that's why they make the comments. Most people, I believe, aren't mean; just misinformed or ignorant about what's happening to Jaimie. Plus, Jaimie fed off my emotions as well and it often made her feel worse when I reacted from the heart. Now I bite my tongue and calmly explain WHY Jaimie reacts the way she does. I don't pull out the statistics or the full scale demonstration with diagrams and charts but I give the basics. Saying something like, "Jaimie has SPD and it affects how she responds to sensory stimulation around her. She gets overstimulated very easily and often can't calm herself." or something similar, depending on the situation. Usually when kids ask stuff, they're just being curious. "Why does she need headphones?" "Why is Jaimie crying?" "How come Jaimie gets mad if I stand like this with her?" Jaimie watches me answer questions or give information to other people, teachers, family, friends or even her little friends, and now she can answer stuff on her own. It's all about giving information. People may still not 'get' it but if you answer the "Why's" people seem much more receptive and accepting, you know? Plus by being calm and giving answers, it teaches our children how to advocate for themselves. And THAT'S powerful! I hope this helps you, DB. The best thing we can do for our sensational kids is talk about SPD and answer questions about it. Thanks again for bringing this up. What a great interview! Up until a month ago I had never heard of SPD, and then my cousin's little girl was diagnosed. She was so relieved to finally have a diagnosis--a starting point, a glimmer of the hope of normalcy for her child. May God bless you as you share your experiences with the world. This is a great book for ANYONE who has a child with special needs or who teaches children with special needs. My stepson has a language processing disorder, and I could relate to the way Chynna felt on several occasions that she described in her book. It was inspirational and nice to know that you are not alone when trying to help your child! I can't wait for Chynna to visit my blog on Wednesday! I am looking forward to finding your book at B&N next payday. My Grandson has SPD, and for a while there, until he was diagnosed, we thought he may have been autistic. What relief we had when we found out it wasn't. The county in which we live provided some good educational information to us in what it is and how to work with him. It's not always easy as he likes to do things on his own time and his own way. But once we get past certain barriers, those hurdles don't seem so bad. His vocabulary improved 1000 percent, his attention has improved, and he's actually learning. But it's a challenge still to get him to recognize letters, numbers etc., and repeat them back to us. Also, food is a major issue. How did you deal with that? My grandson is a "pasta-terian". He'd rather eat ramen noodles or a Meat & Mayo (meat being bologne) sandwich than eat anything else. Won't eat fruits, veggies (unless their hidden and blended in juices). I worry that he doesn't get enough nutrients, even tho we supplement. Suggestions? Hello Chely, Margo and Claire! Claire, the eating side of things can be so frustrating, can't it? At one point, all Jaimie ate was pasta (LOVED your "pasta-terian" term! ), apple sauce and MAYBE some yogurt. But it all had to be plain, smooth and untextured. We don't realize it but you're actually using alot of your senses when you eat: SMELL the aroma of the food; SEE the colors and textures; TASTE the textures and flavors; even using those muscles in the mouth and hand/arm to eat with. And when you throw in tactile issues on top of that...WELL...it's quite a show at mealtime, isn't it? We found that once Jaimie began her specified OT therapy, had her Sensory Diet in place, she slowly began to tolerate different sensations a little better. It is a very slow process and, believe me, I understand your concerns. (Jaimie was always in the 90th or higher percentile for her height and between 10 and 25 for her weight.) What we always try doing is work with the things she likes...that she'll eat NOW...find the healthiest version of that then expand on it. So, if your grandson likes pasta, find the version of it that is actually whole grain but LOOKS like the white stuff he likes. Mixing the fruits into smoothies and the veggies into pasta sauce or other types of sauces is wonderful too. (You can even sneak some into burgers or meatballs, if he likes those. )And we discovered by cutting out anything with dyes, colors or artificial flavorings was HUGE for Jaimie. Margo, thank you so much for your comments about the book. One of the most important messages I wanted to give with the book is that you need to trust your gut, arm yourself with knowledge then help others understand. Teachers, family members, friends will all be in contact with our child--whatever his needs are---and we need to help them learn how to interact with our child. After all, if the child is going to therapy to learn how to interact in their worlds and the people in it, shouldn't those people know how to interact with THEM? I"m so looking forward to visiting your site on Wednesday, Margo! Thanks to you all for your comments so far. This is wonderful. Chynna, great interview! As you know, my four-year-old son has autism and many sensory issues. I like how you handled your answer about how your children will regard your stories later. That's something I've wondered about, too. I hope that when my little guy is older, he's able to ask questions about matters like this and then I can explain to him, "That was how things were then, and you should be so proud of how far you've come!" I know that day is a long ways away, but still... I yearn for that time when we can actually converse like that. Best of luck on your blog tour! Best of luck with the books! May the words flow in 2010! Oh Beth. Thanks so much for commenting. I pray that one day not too far away you'll be sitting down and explaining all of those things to your son--and he'll be able to talk to you about all the things he's thinking about, wondering and everything in between. =) It's always wonderful to hear from you. Chynna: I had never heard of SPD before so thank you for sharing and informing us all. This has been some journey you've been taking with Jaimie and God bless you for your strength and courage. Good luck with the book and your blog tour. ps: That is the sweetest photo titled: Chynna's Beauties. Great interview and this sounds like a most fascinating book. Good on the author for spreading a message of hope and understanding about this little known disorder. I I'd like to be counted in the giveaway. Sounds like a facinating book. Please enter me in the giveaway. I am thrilled to have learned so much from your interview. I would love to read this book, and learn even more. Thanks for the opportunity. I'd like to win this. Very interesting- My 21 year old son has something similar to this. I had never heard of SPD until now! Wonderful Interview! Congratulations on your book. I never heard of Sensory Processing Disorder (SPD) before and I'd love to read your book. Thank for the information and congratulations on your book! Wow... I really though I was having a crappy day. Didn't feel tlike dealing with anyone so thought I'd just check out some blogs and see what was out there and came across this one. Man, talk about smacking me right back to reality. This is such a touching story and what a great interview! I am very intrigued by this book and would love to read it now that I know of it. I really liked your insight on marketing and promoting. My boyfriend jus finished his first comic, and we are about to start the process of getting it published! I would love to read this. Its a disorder Ive heard of often, but still don't really know a whole lot about it. Sounds like a great book and I'd love to hear more of this story. My 11 year od son has SPD and after years and years of battles, he's finally making wonderful progress at a wonderful school! I'd love to read this book. I'm sure we've shared many similar experiences. The interview was very interesting. Thanks for the great contest! Thank you all for leaving comments! :) We held a random drawing by writing all your names on a slip of paper and picking one out of a hat. The winner is: DB! Congratulations! Since your profile is set to private and I can't find your contact info, please email blogtour@wow-womenonwriting.com with your mailing address and we will forward your info to Chynna. I just wanted to come back and thank everyone for coming by to read the interview and leave comments. I hope you get a chance to read the book and that you enjoy it. PS: I'll be doing a giveaway for the book through my own blog too at www.lilywolfwords.blogspot.com! Welcome to the safest, easiest way to get a real work at home job. Work at home jobs can be hard to trust. That's why we research and publish only the best of the best... carefully pre-screened, 100% scam-free work at home jobs you can depend on. No get rich quick schemes. No scams. Just 100% real work at home jobs.